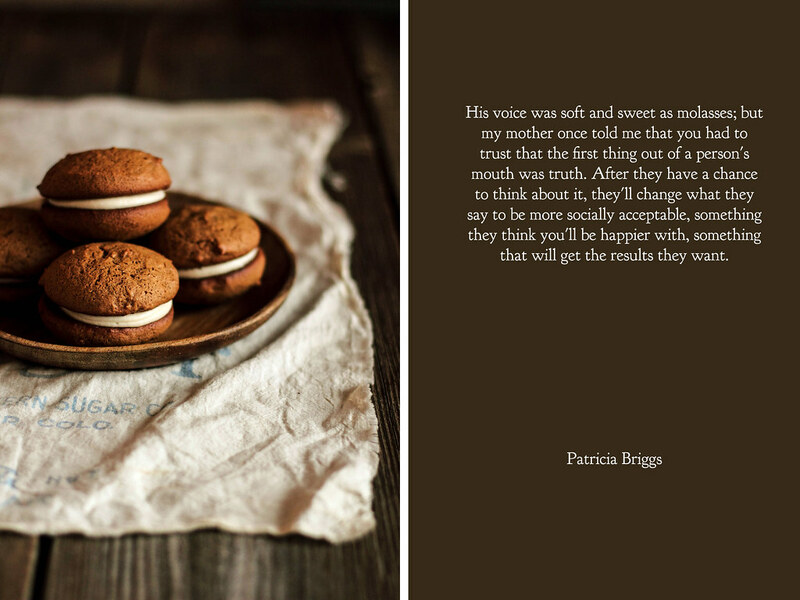 I discovered Emma's blog, Poires au Chocolat, soon after starting my own. The French name drew me in, validating my equal love of chocolate and pear cake, one of the recipes that inspired me to begin blogging. Emma's photography mixes simplicity and honesty with ease and grace, making it feel as if I am in the kitchen alongside her. Her voice is so real and truthful that I feel like I've gotten to know her well, despite living an ocean away. Simply put, her blog is lovely. I'm honoured to be writing for Pastry Affair today. I've been following along for a few years now, watching Kristin's path weave side to side, just like my own. In short (if only life was this simple and factual), I started out studying medieval literature (Old and Middle English, Old French, Chaucer, Julian of Norwich and so on). In my final year, after two years of blogging, I decided to train in pâtisserie. I spent six months at Cordon Bleu. A few months later, I left pastry and my first cookbook proposal to return to Oxford and medieval literature. Yet my path soon twisted again and last Christmas I chose to return to food instead of pursuing a career in academia. I've stayed in my favourite city and as well as working on my blog (supplemented by tutoring, much like Kristin did), I'm now developing another book idea. It's a book that will be all the better for the twists and turns of the past few years. As Kristin said in a post last year, "my path may be riddled with curves, but I've learned to embrace the zigs and zags of my road." 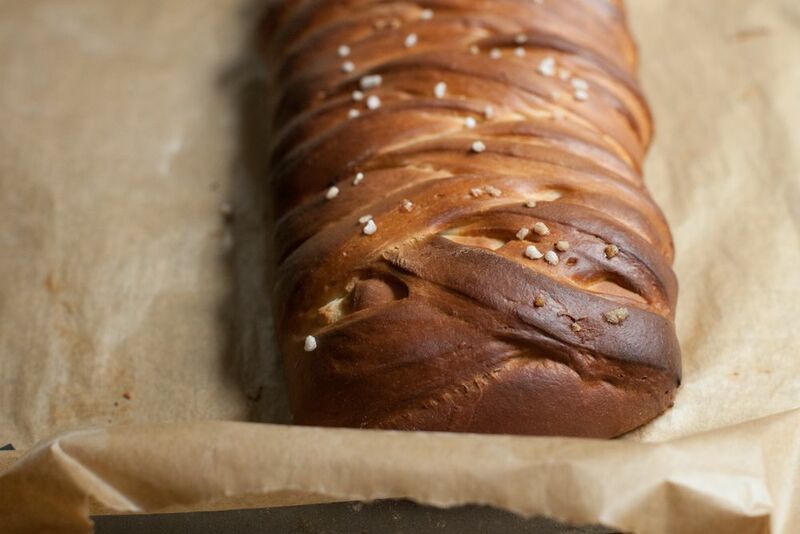 Just like the braids of this bread, sometimes our dreams can be multiple and interwoven, each one taking priority at different times. One strand is at the front, then the next. Neither one ever goes away and both are always connected to the centre. I'll always have my studies in the background, nudging me every now and again - is it my turn yet? I don't know at the moment if it will ever get a turn again - but then maybe it will, in one form or another. I've learnt that I never know until I hit the peak - that glorious, heady moment as a child when you reach the top of the swing, legs kicking to get higher, before you hurtle backwards again. It's that moment when you realise you have no choice but to change, to pull the next strand on top, creating your braid. It repeats until you reach the end and the final strand is tucked under. How do I know if I have reached that point? I can only trust. Though the braiding technique can look a bit intimidating, it's not bad once you've got your head around it. 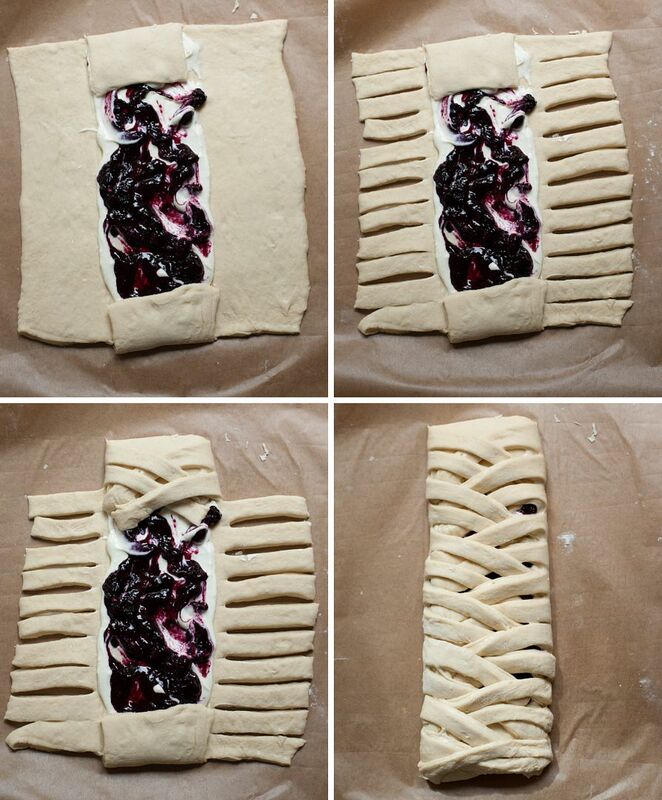 There are lots of different ways to fill these braids. The first one I tried used lemon curd along with the creamy filling. I've also made a version filled with salted caramel, walnuts and meringue and a different bread recipe, which was pretty amazing (I made it for a challenge, I don't think I'd include meringue again). I like the creamy-fruit type for breakfast or brunch. I made a simple blueberry compote here but you could use other fruits or possibly use a not-too-sweet jam. The first signs of spring are arriving—slowly, ever so slowly, but surely. Living in the Upper Midwest, you might guess it to be the middle of winter if you took a peek outside my living room window. With twelve foot snow piles dotted around the buildings and snow drifts so tall it is difficult to see around intersections when driving a car, it certainly does not feel like the first day of spring has already come and gone. Just a few days ago, Mother Nature dropped the temperatures into negative digits once more; I have become so accustomed to the cold that I don't even wrap a scarf around my neck or reach for a hat before walking out the door. It is hard for me to imagine that April is right around the corner. There is a ray of hope in all this snow, however, and it comes in the form of sunshine. Growing ever stronger, the rays are bright and warm in the sky, melting the snow and brightening the early morning hours even when the air is cold. When the light begins to fade at eight o'clock in the evening, I can scarcely believe my eyes (eight o'clock!). These small signs assure me that spring is near, even if it feels so far away right now. When I was perusing the shelves of my local supermarket last weekend, I noticed that raspberries were on sale. While I know winter berries are not as vibrant in color or in flavor, I could not help but add a couple pints into my cart. After surviving on citrus fruits and apples since the advent of fall, I needed a little sweetness in my life in the form of a red, ripe berry. Inspired by one of my favorite cupcake recipes, I swapped out the blueberries for red raspberries and a hint of lemon. A simple cream cheese frosting ties the flavors together. As with most of the sweets I bake in my kitchen, I feel they should be shared with others who may find a bit of happiness in a big bite. I took them to a gathering of friends and watched them disappear over the course of the evening. As I saw people reach for seconds (and thirds), I felt certain you would fall in love with them just as effortlessly. In many ways, I feel as if this cupcake represents the transition between two places, between winter and spring. While the seasonal lemon is bright and fresh, ripe raspberries will be here sooner than I dare to believe—the merging of two seasons. Raspberry Lemon Cream Cheese Cupcakes are vibrant, fresh, and perfect for the arrival of spring. A vanilla cupcake batter is infused with lemon zest, lemon juice, and few handfuls of red raspberries. The sweetness of the cupcake is countered by the tart fruits and the bold tang of the cream cheese frosting. Decorated with a few fresh raspberries, these simple cupcakes become a sophisticated dessert destined to be shared. In a large mixing bowl, mix together the sugar and lemon zest with your fingers until fragrant (about 1-2 minutes). Add the butter and beat until light and fluffy. Add the eggs one at a time, beating well after each addition. Beat in the sour cream, vegetable oil, and vanilla extract. Gradually add in the cake flour, baking powder, baking soda, and salt. Mix in the milk and lemon juice, stirring until batter is uniform and smooth. Gently stir in the raspberries. Fill baking cups about 2/3 full and bake for 16-18 minutes, or until a toothpick inserted into the center comes out clean. Remove from the oven, transfer cupcakes to a cooling rack, and allow to cool to room temperature before frosting. In a large mixing bowl, beat together the cream cheese and butter until smooth. Beat in the salt and vanilla. Gradually beat in the powdered sugar. 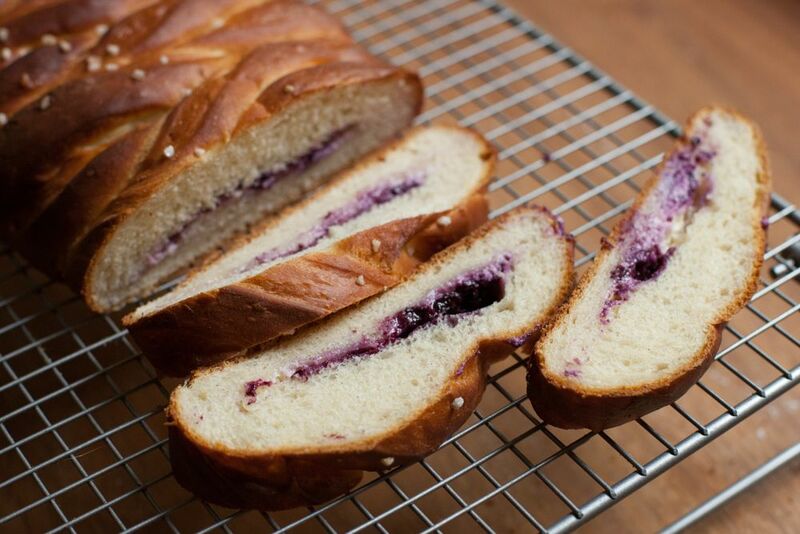 If frosting is too soft, add more powdered sugar until it reaches a spreadable consistency. Likewise, if the frosting is too stiff, add milk until it reaches a spreadable consistency. Before serving, pipe or spread frosting on top of cooled cupcakes and decorate with a few fresh raspberries, if desired. If cupcakes will sit out more than a day, keep refrigerated in an airtight container to help preserve them. Serve at room temperature. 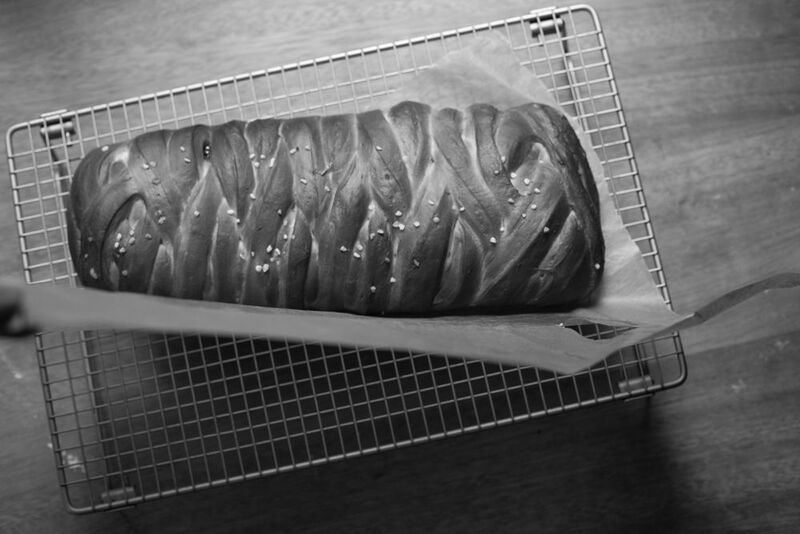 You don't become a baker without developing a few bad habits along the way. Perhaps my most noticeable habit is that I forget to wear an apron. This wouldn't be a problem with most people. Sadly, the same cannot be said for me. 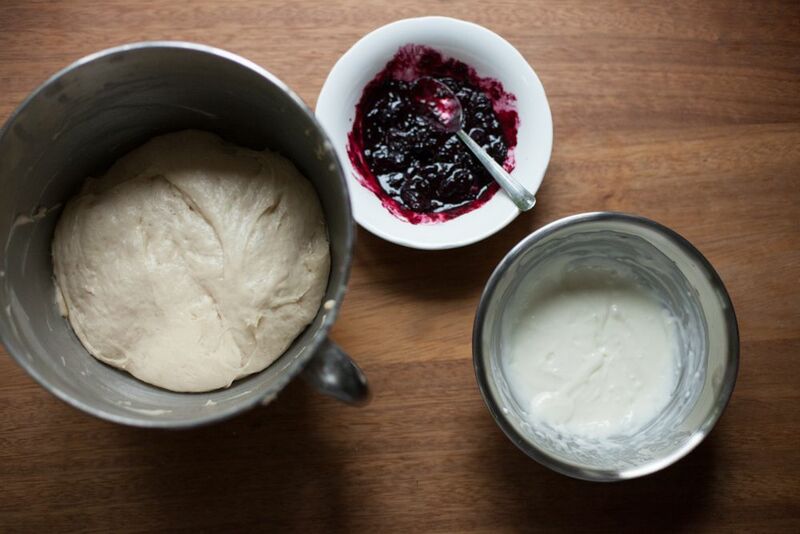 When I worked in a bakery, the first business in the morning was to put on my trusty apron. It was more than just a flour barrier between my clothes and me; I relied on it to take the brunt of my clumsiness in the kitchen (graceful, I am not) and often used it as a towel to wipe my hands when a customer came calling. By the end of the day, the apron was hardly recognizable. Even though I am a home-baker now, with a closet full of adorable aprons, I don't remember I have them until my pants resemble a powdered sugar nightmare. It's a work in progress. I'm a little ashamed to admit bad habit #2. I don't own a kitchen timer. When I worked in the bakery, it was standard procedure to never set a timer for any baked goods. At first this seemed odd to me, but the ovens were passed so frequently to reach the kitchen sink and food was so strongly on the mind that the entire time I worked there, we only burned a handful of items. I like to think I've developed a "baker's intuition" in my own kitchen, justifying the fact that I never remember to check the time when I put something in the oven. The truth is that sometimes I have excellent intuition and, well, sometimes I do not. I have gotten quite well at slightly over-baking a little bit of everything. Can we keep this our little secret, though? Perhaps most shameful of all is that I am lousy when it comes to doing the dishes after wreaking havoc in the kitchen. My boyfriend could write you a novel revealing the horrors of kitchen aftermath. Always full of excuses, I complain to anyone within listening distance that after baking and photographing (and eating) whatever I've made, I'm much too tired to wash the bowls in the sink. No amount of sad eyes and pouting will convince them to clean up after me (I've tried). This continues to be a battle for me, but I am getting better at it. Slowly. What are your bad kitchen habits? 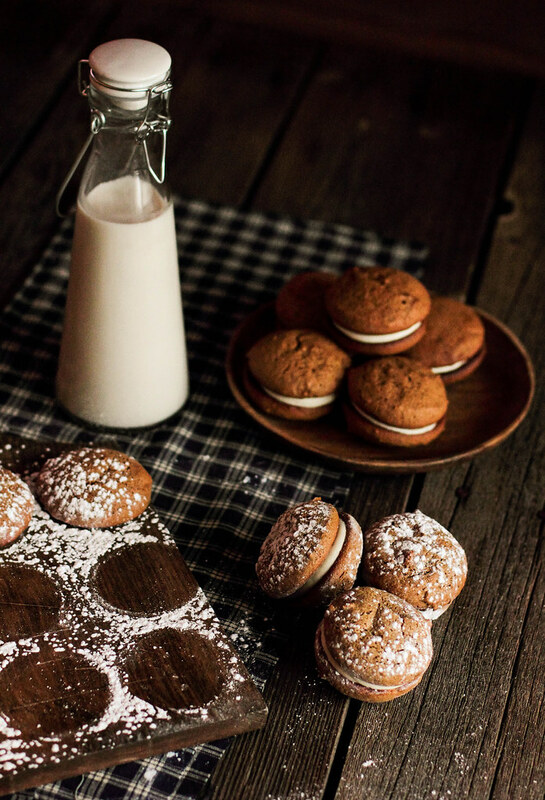 Molasses Cookies with Ginger Cream Cheese Filling are spiced with everything nice. The cookies bake up soft and cake-like, with a strong molasses flavor and a touch of cinnamon. 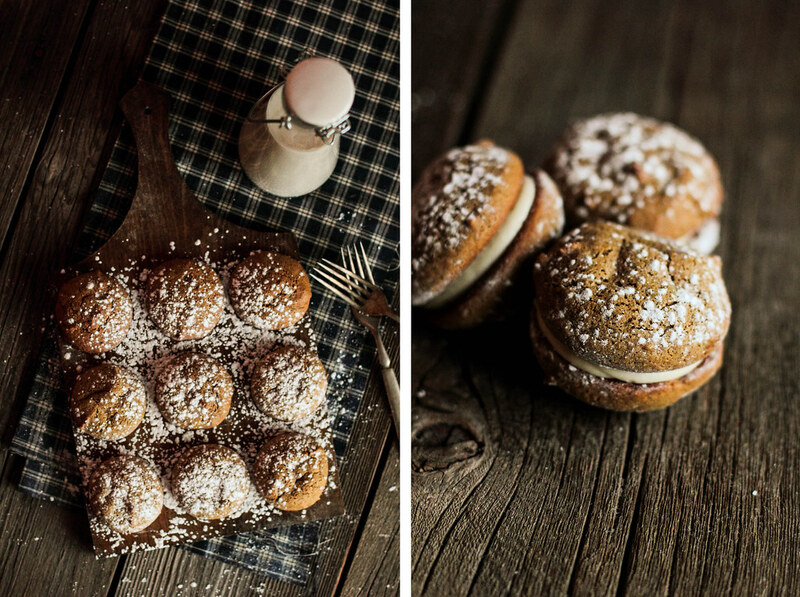 The cookies are sandwiched together with a cream cheese frosting spiced with ground ginger. 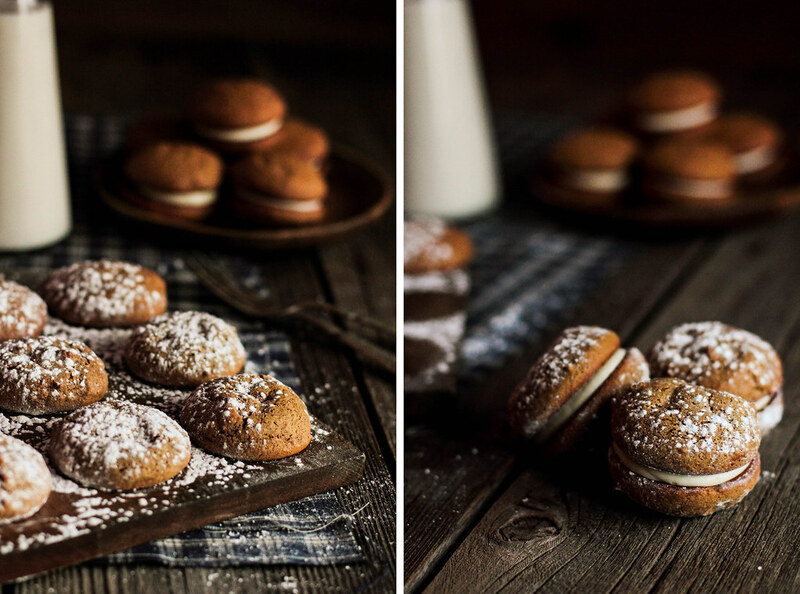 Whether you think of these cookie sandwiches as whoopie pies or not, one thing is for certain—it's hard to stop at one. I like to twist open the sandwiches and eat the halves one at a time just to make them last a little longer.